For those who may be extra paranoid and are worried about “online threats” when getting online with your PlayStation Vita, Trend Micro has a pair of cloud-based, security services for you. Similar to what is already available for the PS3 and PSP, Trend Micro is working with Sony to offer “Kids Safety” and “Web Security” services to keep your Vita safe, as well as your children, while browsing online. The services start at $19.99 or $34.99 for both. Trend Micro also offers a 90 day trial to test it out first. Trend Micro Incorporated, a global cloud security leader, today announced that the company has extended its collaboration with Sony Computer Entertainment Inc. (SCE) and is now offering two web security services — “Trend Micro Kids Safety” and “Trend Micro Web Security” — for PlayStation Vita, the first portable entertainment system from SCE with 3G network connectivity. These two services leverage Trend Micro’s URL filtering and web reputation technologies, respectively. 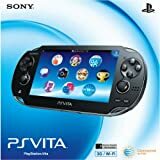 URL filtering prevents inappropriate websites from being accessed; web reputation blocks PlayStation Vita users from accidentally visiting a website that may contain malicious content designed to steal personal information and confidential data such as bank account information, and credit card numbers. Web reputation is one of the main components of the Trend Micro Smart Protection Network infrastructure, a cloud-client security infrastructure that checks the security of more than five billion URL, email and file queries daily. With the Smart Protection Network, PlayStation Vita users receive instant, real-time protection against malicious websites and Internet fraud. Both services, which are already available in Japan, Taiwan, and Hong Kong, will coincide with the releases of PS Vita in North America, South America, EMEA and select countries in Asia. Since November 2007, Trend Micro has been offering “Trend Micro Kids Safety” and “Trend Micro Web Security” for PlayStation 3. Trend Micro extended these services to the PSP (PlayStation Portable) in April 2009. For more information on PlayStation Vita, please visit http://us.playstation.com/psvita. Purchased separately, each individual service is US$19.99 per year; purchased together, the cost is US$34.99 per year. Trend Micro is also offering a free 90-day trial version. Additional information is available at www.trendmicro.com/psvita.